Property 13: Second Home Apartment II. The apartment is exactly as described. Prague is a city on hills, and this house sits on a hill. There is a great tram stop a five minute walk away. The television is very good, especially if you like German television. The kitchen is fully equipped. The house owner was available and helpful. I noticed there were no barking dogs around. 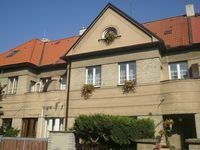 This apartment is a great price for what you are getting. Stay here. 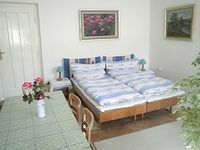 Located in Prague 6, the apartment was spacious, clean and comfortable! Owner was super friendly and helpful!